KANSAS CITY, Mo. 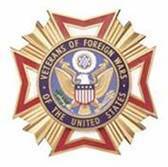 (September 22, 2015) – The VFW is still accepting entries for the 2015-16 VFW Voice of Democracy and Patriot’s Pen scholarship competitions. The deadline for student entries in both contests is Nov. 1. The VFW’s scholarship competitions are dedicated to promoting patriotism among America’s youth. Students are asked to submit an essay in response to a question or statement on a subject that encourages them to consider how democratic ideals and principles apply to their lives. Each year the VFW awards more than $3 million in scholarships and awards to middle and high school students who participate in the two competitions. This year’s Voice of Democracy theme encourages students to describe, “My Vision for America.” The Voice of Democracy scholarship competition is an audio-essay competition open to students in grades 9-12. The national winner will receive a $30,000 scholarship. Click here to learn more. The Patriot’s Pen competition is open to students in grades 6-8. This year, students are asked to reflect on the statement, “What Freedom Means to Me.” The national winner will receive a $5,000 award. Click here for the details. Students should submit their entry (along with a completed entry form) to their participating local VFW Post 2713. *State of Washington Residents Only: Youth Essay Scholarship competition deadline is Nov. 1st as well. Each year, more than 45,000 high school students from across the country enter to win a share of the $2.2 million in educational scholarships and incentives awarded through the VFW’s Voice of Democracy audio-essay competition. Knowing that a democratic society needs nurturing, the VFW established the Voice of Democracy program (VOD) in 1947 to provide students grades 9-12 the opportunity to express themselves in regards to democratic ideas and principles. Students should record their reading of the draft to a CD. The recording can be no shorter than three minutes and no longer than five minutes (plus or minus five seconds). The national first-place winner receives a $30,000 scholarship paid directly to the recipient’s American university, college or vocational/technical school. Other national scholarships range from $1,000- $16,000 and the first-place winner from each (State) VFW Department wins an all-expense-paid trip to Washington, D.C. Annually, roughly 126,000 students from grades 6-8 (nationwide) enter. One first-place winner from each state competes to win one of 46 national awards totaling $46,000. The national first-place winner wins $5,000 and an all-expense-paid trip to Washington, D.C., in March.